The other night I took advantage of Kevin getting home early from work and went to Barnes and Noble. I came across this cute book, and now I'll have to see if our library has it for my boys to check out. Tiptoe Joe by Ginger Gibson is very simple, but it will hold any child's attention. This proud papa bear has something that he thinks the entire forest should see. He gathers all of his friends and neighbors to show them what is waiting at his den. 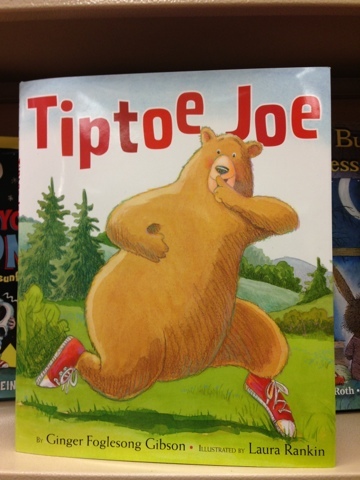 Tiptoe Joe would be great for reading this week before Father's Day. *Gather all the stuffed animals and throw a pretend party.